Click on the Common Core State Standards Initiative image below to access k-12 college and career readiness standards. These standards serve as the national guideline of what students should know by the time they finish each grade level as well as what they need to know to graduate from high school. ​Click on the California Common Core State Standards (CCSS) image to access California's version of the core standards. 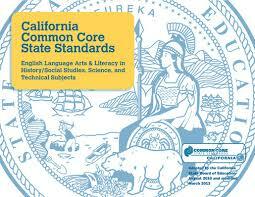 California adopted the Common Core standards in 2010. California's transition from the old standards to the CCSS got off to a slow start. Many teachers didn't instruct the new adopted standards for the first time until the 2014-2015 school year. Educators remain optimistic that as the transition continues the new standards will raise the bar of academic expectations that will lead to higher student achievement. 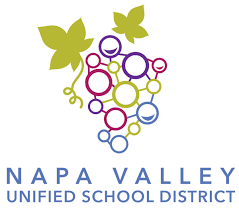 ​Click on the Napa Valley Unified School District image below to access k-12 grade level standards. In addition, you will find information for teachers and parents. 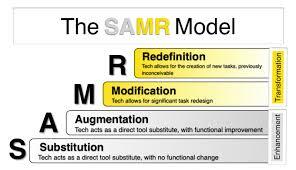 Available for teachers are links to curriculum support and assessment support. There is testing information for both teachers and parents. Specifically for parents, there is a link to "standards resources".